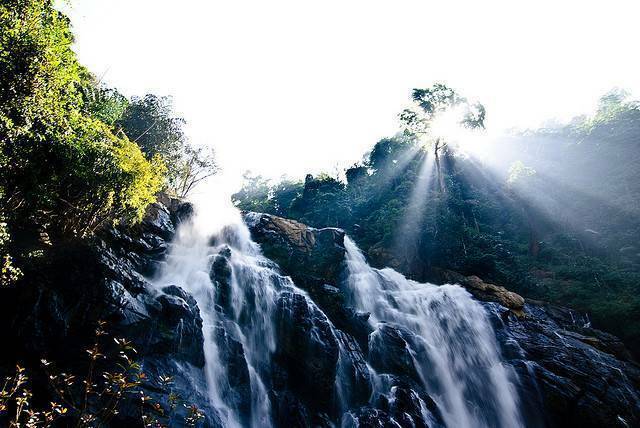 Meenmutty falls are one of the most majestic falls that South India has. 'Meenmutty' in Malayalam means place where ‘fishes are blocked’. They have gushing waters cascading down 300 meters in three tiers. It takes a trek of about 2 KMs through lush foliage of a private estate to reach the top of the falls which besides a splendid, un-paralleled view of the falls offers a breathtaking view of the valley around. Best time to visit the fall is during post monsoons. During monsoons due to high inflow of water, falls become little dangerous.